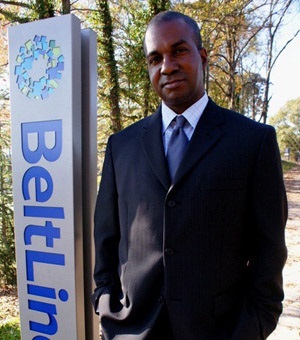 Owner of The Beltline Team of Area West Realty, Derrick founded The Beltline Team Inc., a residential & commercial real estate company with an emphasis on sustainability and walkable lifestyles, specifically around the Atlanta Beltline project. Derrick founded Committed to Communities initially as a semi-annual event to help stabilize neighborhoods heavily impacted by foreclosure, increase quality of life for residents, and to raise awareness around affordable housing opportunities. Having founded Committed to Communities and grown it into a full service nonprofit entity, he is currently working on continuing real estate development with some exciting new visions for Southwest Atlanta. He occasionally leaps building in a single bound. Derrick serves on a number of boards in Atlanta, including: Rowe Montessori School and the Atlanta Land Trust Collaborative. He’s formerly a member of the BeltLine Affordable Housing Advisory Board (BAHAB) and The Atlanta Neighborhood Development Partnership (ANDP). Other involvements include: working with the Partnership for the Preservation of Pittsburgh, and serving as the REALTOR® for Sustainable Neighborhood Development Strategies Inc., Pittsburgh Community Improvement Association, and 3 terms as president of his local neighborhood association, Adair Park Today. As a result, he has experience in affordable housing, sustainable development, mixed-use development, real estate financing, policy research, advocacy, and housing equality throughout Atlanta. When he’s not out saving the world you can occasionally find him on a golf course somewhere, way under par. Manager of Homebuyer Education and Counseling for Committed to Communities. Tawny spends the majority of her workweek educating, counseling and coaching individuals and families in personal finance areas such as credit, budgeting, money management and long-term goal setting. The rest of her her time is spent doing outreach to renters in SW Atlanta, where she also lives and engages with her community, designing innovative curriculum, event planning, keeping up with homebuyers in the field and responding to their questions and needs, and attempting to create funny social media posts. She is not sure how successful she is at that last part yet. Outside of Committed to Communities, Tawny is a board member for the budding nonprofit, Diverse Groups, who's goal is to create safe and productive spaces for diverse communities to discuss difficult and sensitive social issues, to cultivate understanding and empathy, and ultimately learn from one another and grow as a community. 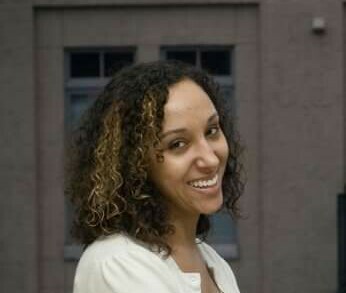 She is also a competitive slam poet and a youth poetry slam coach for the Boys & Girls Club and Woodruff Arts Center. She received her B.A. in Sociology from Assumption College, Worcester, Massachusetts and completed Graduate coursework towards a M.A in Sociology from North Carolina State University. And when she's not at work, performing, or serving the community somewhere you can usually find her in her kitchen: curing something.